To Read in PDF, Click HERE. God bless u like. "Yetewahido" Yekurt ken lijoch endih endeyesitotachihu aberkitu. Thx GOD BA ASCHAGARI GIZE INKUWAN LAWUNAT YAKOMU WANDMOCHIN BAMAYATACHIN DAS BILINAL. YATAWAHDO LIJOCH AYACHU MKIDUSAN LABETAKRSTIAN YAKAFALAWUN MASWATNAT IBAKACHU BATACHALAN AIKIM HULU INIRDACHAW. endaw tasazinignalachihu!. ende wendime begashawina tizitaw and fire lijoch nachew eko. Yebetekiristian mistirun Minun awukewit new endezih hizib yawekut!. Yihun! yemitayegn yenesu sayihon Leka Hizib yelem, leka betun yemiyawik kiristian yelem new yasegnegn!. Minew Ethiopiawuyan libachinin min wesedewina, koshita hulu yemirebishen Hone. It is a warn to All Ethiopians to remain in silence. Remind and be inspired by the INSTRUCTION of Saint Gebriel. Stand with the ground you are now. Not waving in ideas back and forth side to side. Remain in Good Sprit. In Ethiopia Blessings has entruded through the culture and stable society welcoming the Eternal Wisdom. Now the highly unstable mind in Ethiopians in religion and political ideaology may not bring a sustaining solution to all. Please remind of the Instruction " Remain and maintain the Sprit you have now". Lets see how God Work Out all for us. Hi guys, it looks things are getting complicated and making divisions. Please let us think of another method of solving problems. Sometimes don't blame people for nothing. I personally hate tehadiso but identify who is tehadiso and who is not. For me Begashaw and his group has maturity problem not being tehadiso. I saw the whole video produced on "Awasa Tehadiso" it has nothing with Tehadiso except Donny. What I saw is Admin problem. About Virgin Mary, Let me ask you who wrote that Mary has original sin? It is Aba Paulos 20 years before. 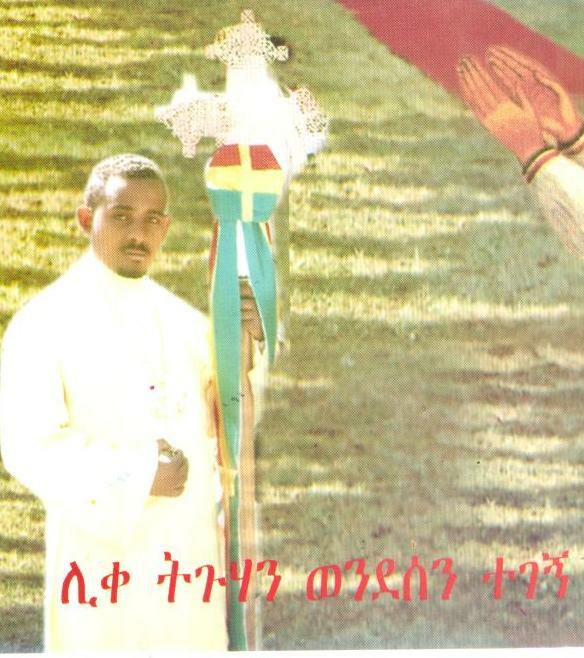 I saw his thesis who states that "Mary is considered to be under original sin in Ethiopian Orthodox Church". And he mentioned reference. So why exaggerate things as current issue. If this wrong let the synode have declaration. There are so many things complicated that need adjustment in the church. Let us not rush to break antagonism among us. I am not pro Begashaw or any other body but I want all of us to follow the truth and consider things deeply. This is not a time to sit on the sideline. It is time to face the traders. 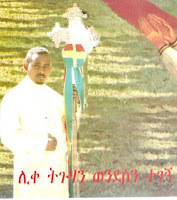 God bless you ሊቀ ትጉሃን ወንደሰን. Oh! lord z almighty plz don't keep silent. Think about your sheep(mimenan)and pay for every one his price who is runing for his self interest. To me as a mimenan all comments has been looking like given by one person.I think the purpose of all comments Is a kind of advertisment of the book.All are in a bad faith. To comment on the book the time is too short,first it has to be distributed and read by the people. Why is it necessary to highlight the names and guide people to look the book from your point of view. Is that the author's interest. I don't think. If yes let's hear from himself. Bible is z word of God. Those brothers who you have mentioned in bad mode in your comment are preaching bible. Whether you like it or not they have got in through all mimenan's heart. It is not now the question of tehadiso but knowing and understanding bible and being true christian. They are working on it,nothing other things like you've said. Don't try to confuse the mimenan by sharing your revenge kind preach. Leave us alone to hear the voice of our shephered through those teachers who you 've mentioned their names. When i say this i don't really mean that there is no any movment against our religion and church but not through our "birkye sebakian and zemarian." We are looking our sinedos to declare who is who. Until then you all are the same. Don't try to judge others with your own standard.Who are you? "segur sinteka new yeyazachihut"
Thank you dejeselamoch please do justice by posting from both negatives and positives. May God be with us to live in peace under our orthodox Tewahido church. Thank you Bete i agree with you. Ananymous who have said ene memhir Begashawin hodamoch please understand that hodam yegziabhern kal yemiyakafil sebaki sayhon begenzeb yewondimun sim lemagudef yetezegaje sew new. Ay ye Arogitua sara lichoch. Gin lemin?? Ketikitoch besteker hulu tasibobetina be Ewuqet new iyetederege yalew. Gudayu yemenor yalemenor guday new yale Tewahido hiywot yelem. Le dekikam antegnam anizenagam yegebachihubet ingebalen. Asfetsaminetachun ketewachihu degmo be Kidst betekrstian le kibr inseralen. Af bicha sayhon jorom yinurachihu. Mikniatum yastemarachihunin mehon akatachihu. የድርሻችንን አውቀን በቤተክርስቲያን ጉዳይ ቀጥተኛ ተሳታፊ እንዲንሆን የእግዚአብሔር ቸርነት የወላዲተ አምላክ አማላጅነት የቅዱሳን ተራዳዕነት አይለየን:: አሜን!! ተዋሕዶን ታድሷት ዘንድ የተዘጋጃችሁ እናንት እነማን ናችሁ?